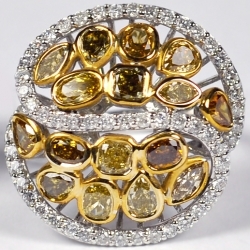 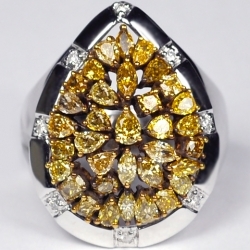 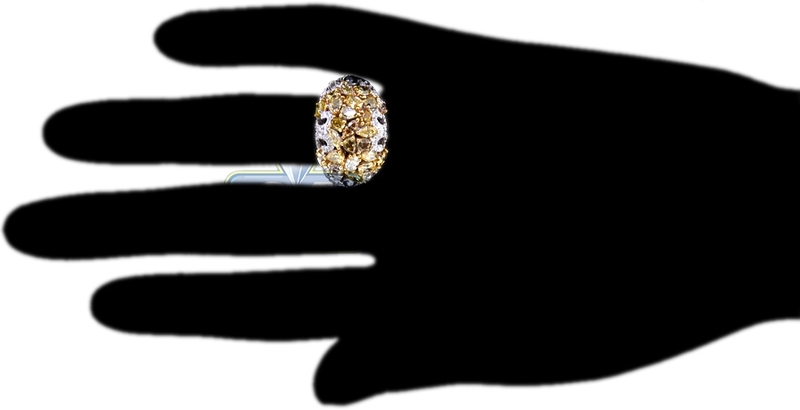 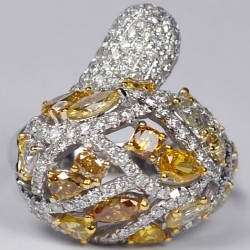 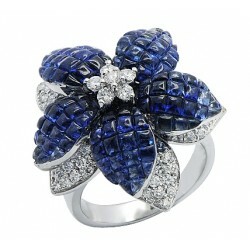 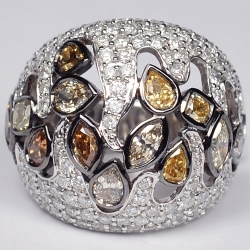 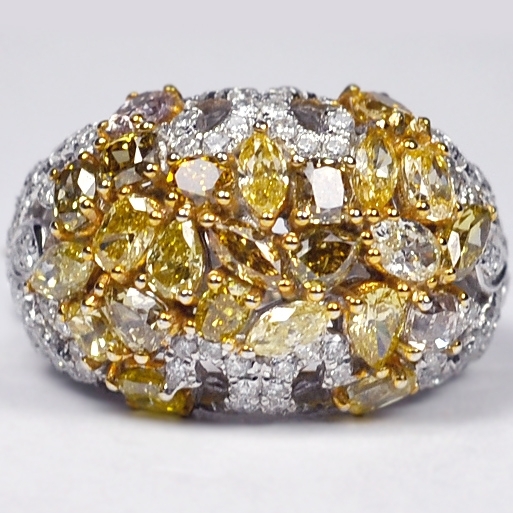 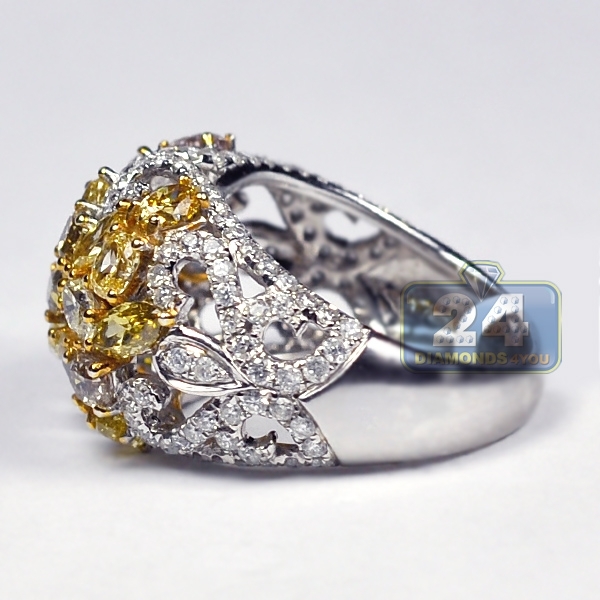 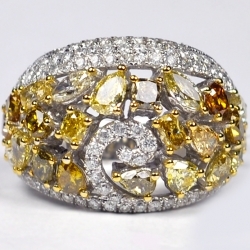 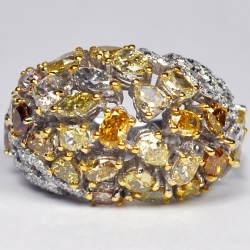 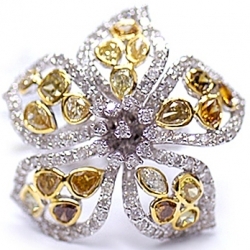 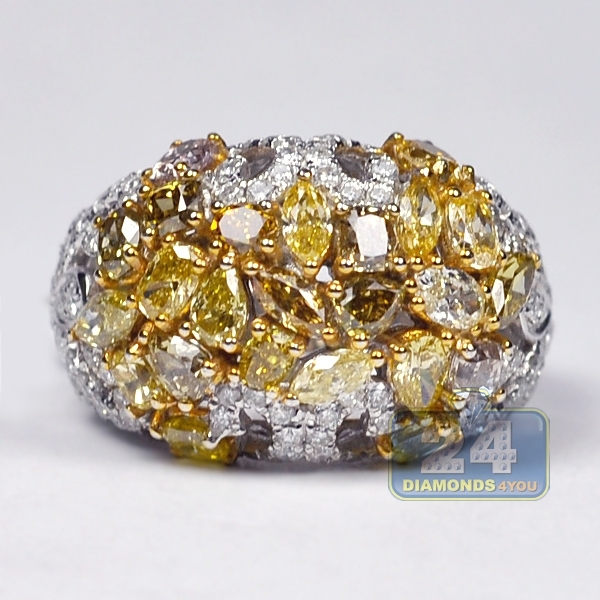 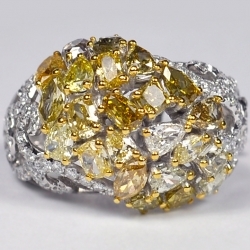 Be unique and show your sophisticated taste with this fancy dome ring! 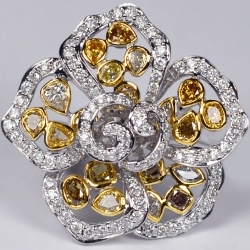 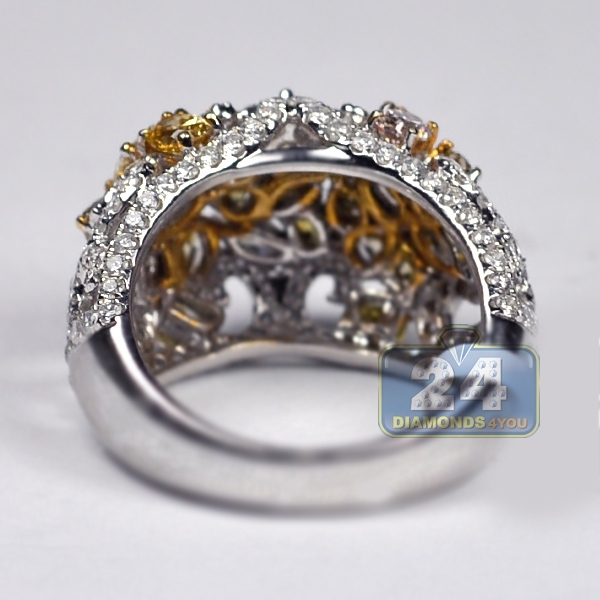 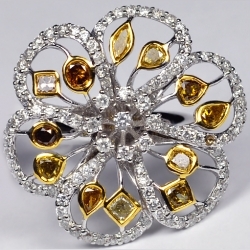 High polished 14k white gold has been artfully handcrafted into a vintage inspired floral design that features natural multi-colored and multi-shaped diamonds weighting 4.91 carat. 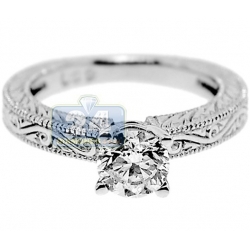 Classic white round cut brilliants are adding their icy sparkle as well. 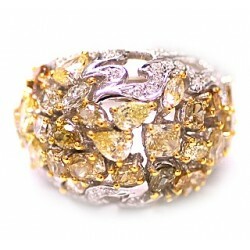 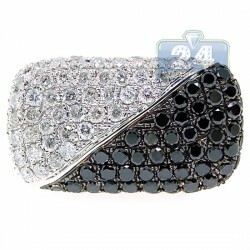 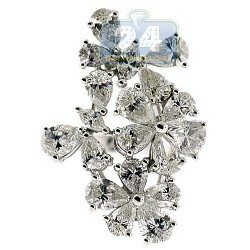 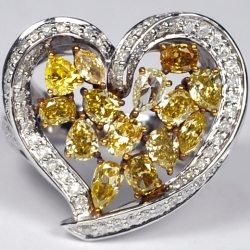 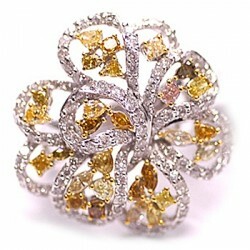 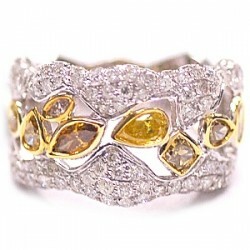 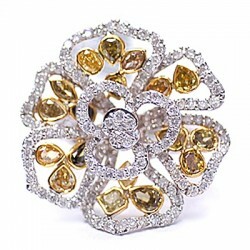 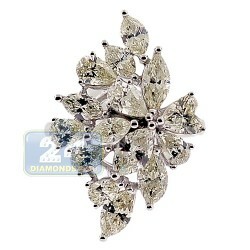 Be ready to catch a lot of attention and get millions of compliments while wearing this one of a kind jewel!